Digital retinal imaging uses a high –resolution imaging system to take pictures of the inside of your eye. This helps Dr. Cusic asses the health of your retina and helps him to detect and manage such eye and health conditions as glaucoma, diabetes, macular degeneration, cancer, hypertension and retinal detachment. In addition to helping detect diseases early, retinal imaging provides a permanent and historical record of changes in your eye. Images can be compared side-by-side, year after year, to discover even subtle changes and help monitor your health. 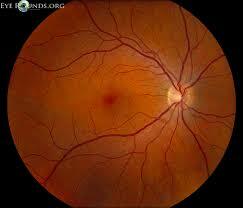 Retinal images also make it easier for Dr. Cusic to educate you about your health and wellness. The two of you can review your images together, and he can point out the various structures of the retina and explain treatment options for any conditions revealed by the pictures. The more you know about eye diseases, the more likely you will understand and follow Dr. Cusic’s recommendations for treatment and prevention. Our Kirkland Vision Center also provides help in the event of an Eye Emergency (Pink/Red Eyes). Call our office for more information.